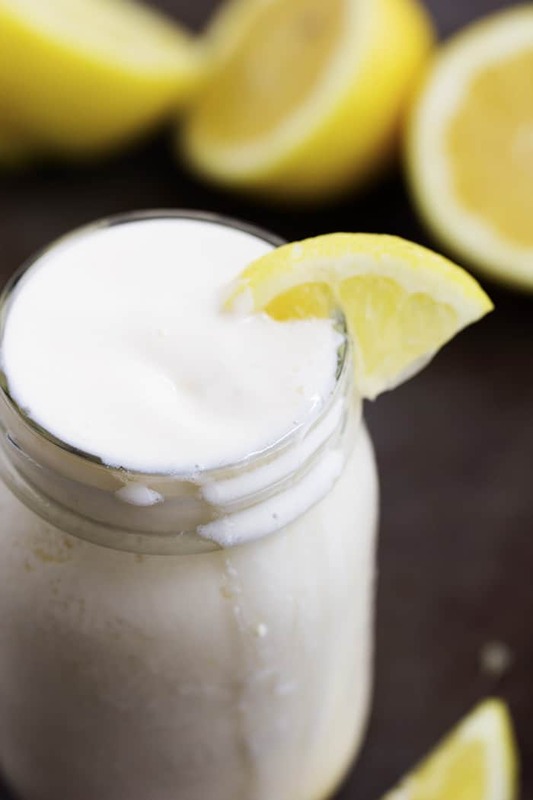 A delicious and creamy frozen lemonade that tastes just like Chick-fil-A! This drink is so refreshing and perfect for summer! I have an obsession. Chick-fil-A’s frosted Lemonade! Have you had it? It is the most amazing and creamy delicious frozen drink that I have ever had. I crave it all of the time. Especially on the hot summer days. So that last time that I ordered it, I noticed that they just add vanilla ice cream to their delicious hand squeezed lemonade. And since I have the recipe for their lemonade on my blog I wanted to make some at home for myself. It was pretty simple to squeeze some fresh lemons and combine it all into the blender. 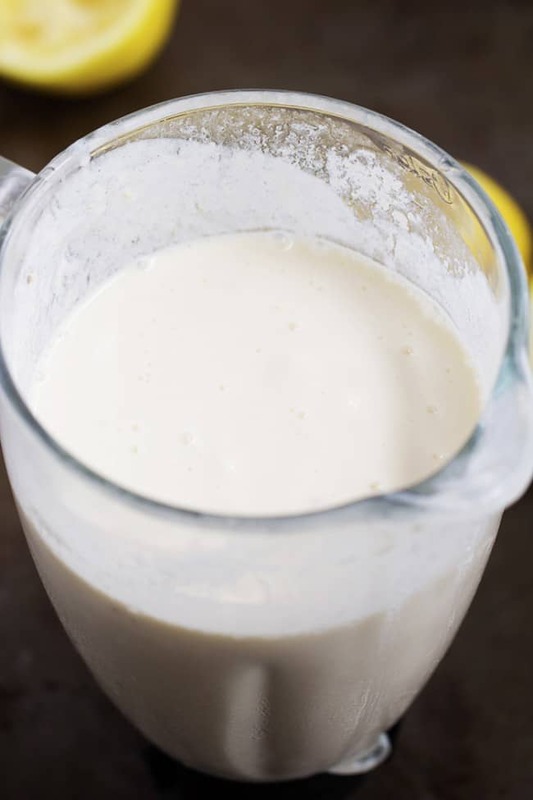 It blended so smooth and creamy and the hint of lemon is absolutely fantastic! Add lemon juice, sugar, and water to a blender. Add the vanilla ice cream. I used about the equivalent to 4 cups. Blend until smooth. Pour into four cups and enjoy!